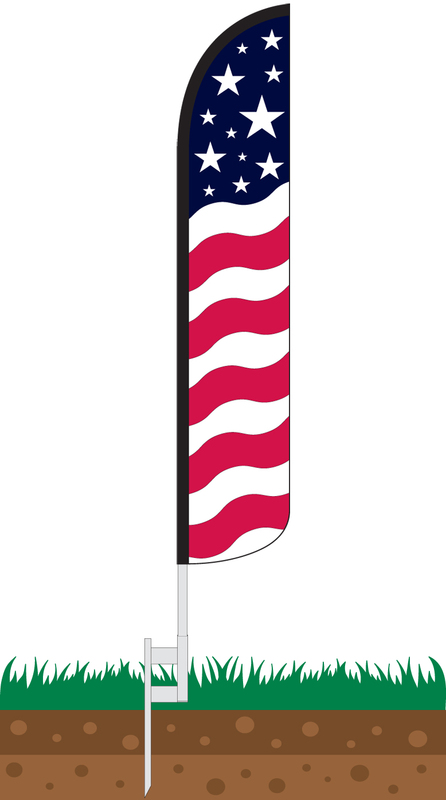 Our Stars & Bars Wind-Free Feather Flag is designed to look like a traditional red, white, and blue waving American flag. Its simple design means that it most closely resembles the world-famous American flag, making it incredibly popular with our customers. 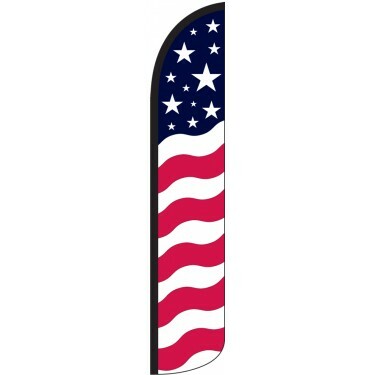 Many types businesses and organizations use this flag to demonstrate their patriotism This makes it ideal for a range of organizations, who want to show off their patriotic zeal, to the public. Patriotic flags like this are especially popular on national holidays such as the 4th of July and Memorial Day. If you love America and want to fly your colors proudly, then this is the perfect flag for you! Our 11.5ft x 2.5ft Wind-Free Feather Flags are constructed of 110gsm knitted polyester material which is designed to withstand the elements over time. Wind-Free Flags, which are often referred to as "Full Sleeve Flags," "Windless Flags," or "Windless Banners" feature a sleeve which extends fully around the curved portion of the flag. This feature makes the flag fully visible even when their is no wind. Wind-free flags are preferable for display in areas where there is minimal breeze or for indoor uses like trade shows and sporting events. Our Wind-Free Flags are finished with a durable black oxford sleeve and black rope tie at the bottom which keeps your flag looking fresher longer by hiding the dirt. Our unique flags are carefully developed by our graphic designers to feature the most eye-catching and striking designs that will attract maximum attention. 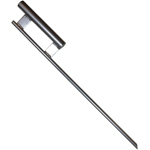 Add Wind-Free Aluminum Pole Kit To Order? 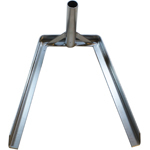 Our Deluxe 4-Piece Wind-Free Feather Flag Pole Set is constructed of extra heavy duty aluminum tubing and is finished with an anodized coating. 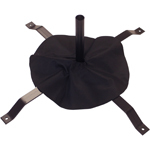 Our flagpole sets are unique in that the diameter of the pole is the same from the top section to the bottom section for added durability. Each section swedges together to form a finished 15ft. tall pole set.